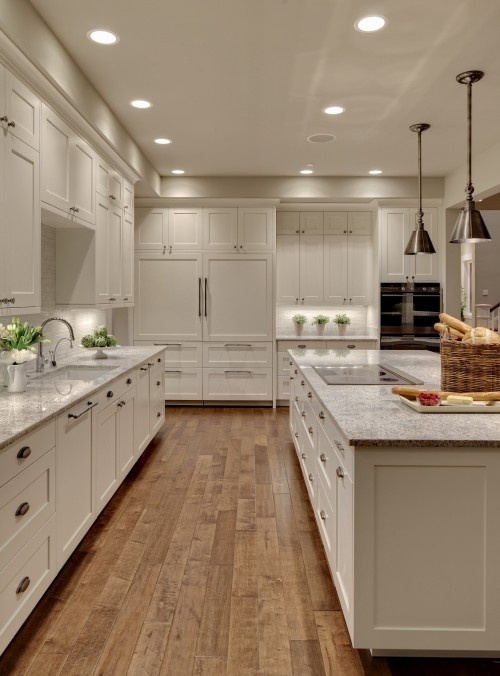 woodflooringtrends | Current trends in the wood flooring industry. We liked the trend so much we got in the act. 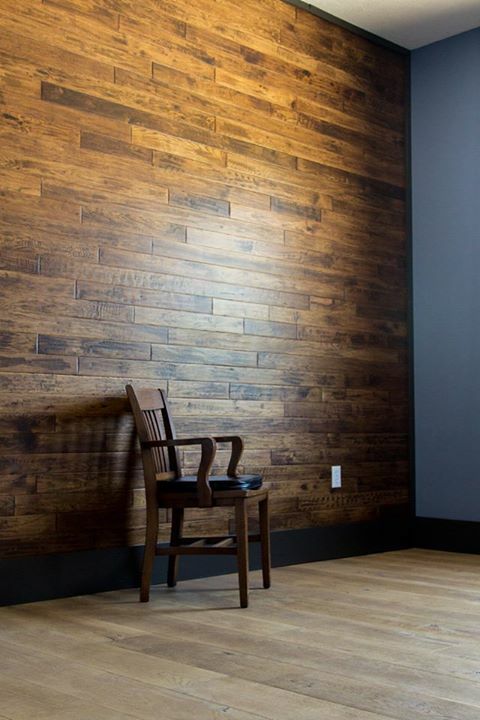 In our new office we installed some of our handscraped wood flooring on our office walls. I guess you could call this the white album. 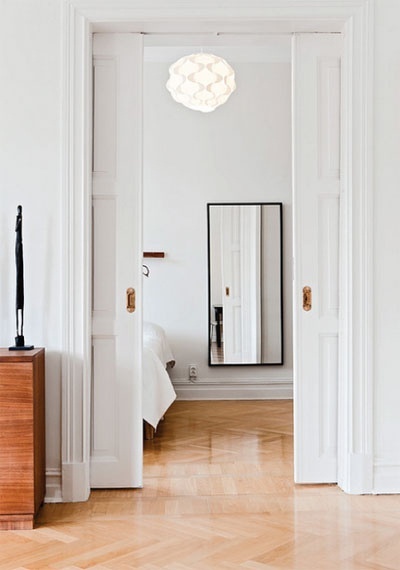 Wood floors are a perfect compliment to any wall color and they look particularly good with white. I’ve sorted them out by floor type. Here are a few of my favorites. These are basic floors, nothing fancy here. Just years of character and patina and perfection. 2 1/4″ Southern Red Oak – Red Oak from the south has much more pronounced grain patterns than oak from the Appalachians or the Ozarks. 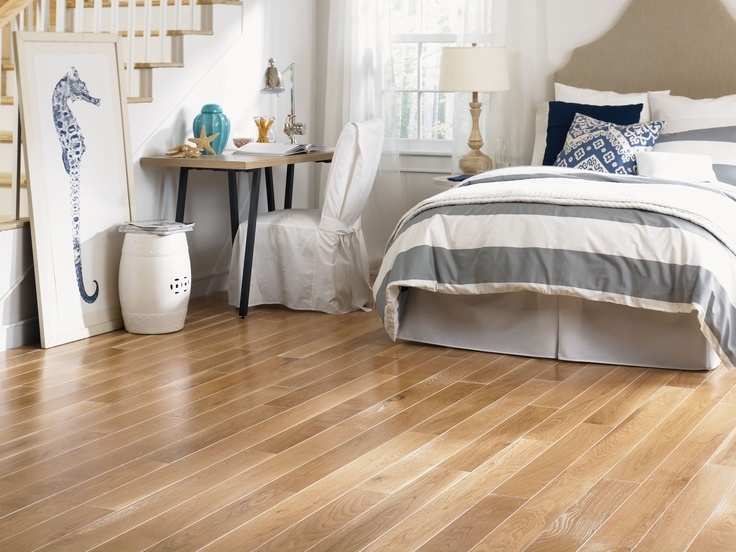 Wide planks, which have incorrectly been characterized as “room shrinking”, continue to grow in popularity. Particularly in longer lengths and rustic grades showing the full scope of the hardwood’s naturalness. Good guys and bad guys. Dark and light, black and white have never gotten along this well before. Floors for the obsessively compulsed. Nothing random here, pretty maids all in a row. Bring more nature inside. Everyone has flaws and defects, why hide them? Natural, authentic, real. Saucy Brazilian entanglement. Red floors are coming back to life. Here is a follow-up to my post a few weeks ago about wood wall decor. This one isn’t made of wood flooring but 4 different thicknesses of walnut lumber. Not only do you have the natural beauty of walnut but also you see in this image how walnut will patina when exposed to sunlight going from the chocolate-brown to a golden brown in a relatively short period of time. This walnut wall has gotten lighter as it was exposed to sunlight. The resulting color is fantastic. Here is a update on our latest attempt to reproduce an oak floor that looks eons old. Our goal with our latest product line Vintage Loft was to make a floor that looked like the wooden planks in an old loft apartment, or in the local hardware store. Not the big orange box hardware store, the one made out of brick that is in the old part of town, or at least it used to be. It makes me think of that great lyric from David Wilcox’s song East Asheville Hardware as he encourages listeners to continue to patronize their local hardware stores. 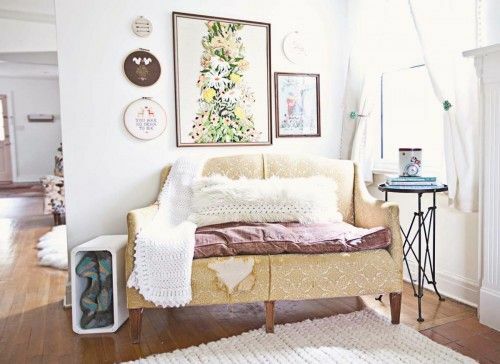 “…go first to that age-old place, to that old wooden door that you have to close behind you, to the wide-board wooden floor, worn down soft, to the real thing, good advice, and quality at a fair price”. West End from the Real Wood Floors collection Vintage Loft. Though made from new material we’ve worked hard to make them feel a hundred years old. In order to capture the old aesthetic we spent time in old warehouses, lofts and barns taking pictures of truly old wood floors and noting how they aged. Then we picked an appropriate material to use as the base. 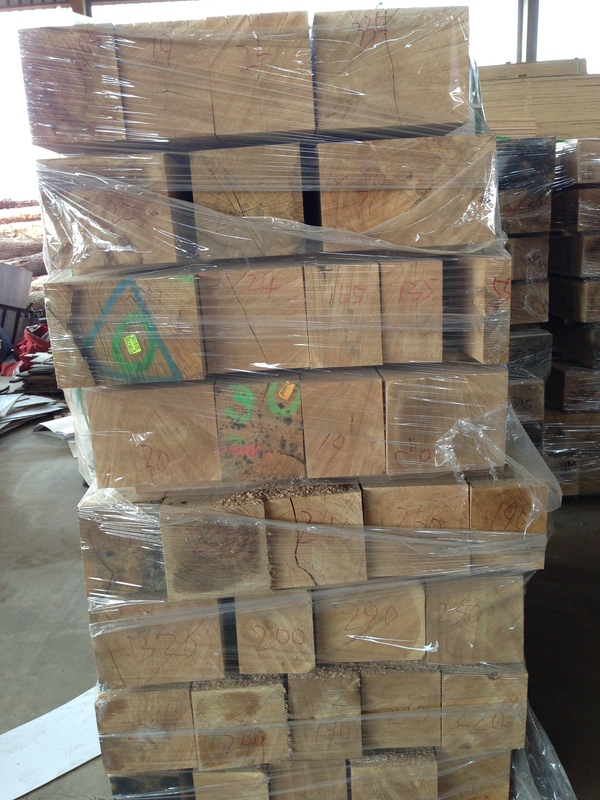 In this case we chose European oak logs from Germany and France. We chose European because of a distinct character that we don’t find in American oak. The European white oak logs do not split in the center of the log while the American logs do. The result is, we can get many more wide planks. This floor is 8 1/2″ wide and comes in lengths up to 8′ so we needed a raw material base that would provide enough large lumber to fit the bill. Above : Riverfront from the Real Wood Floors Collection Vintage Loft. 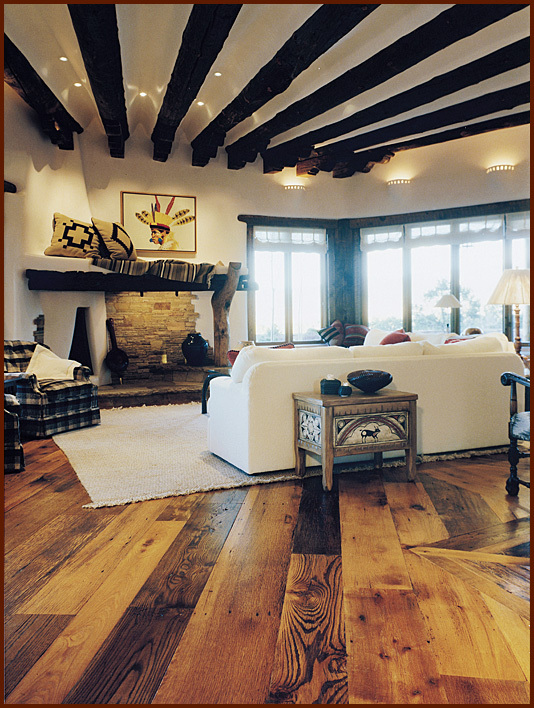 One feature of a truly old wood floor is that they were often only air dried and not kiln dried. The lumber was sawn and then let sit in open air for 2-3 months to dry down to 12-14% and then used in construction (most wood floors today are kiln dried down between 6-8%). In these old buildings the wood flooring would then shrink a bit more over time as it continued to dry which would result in knots further shrinking giving the floor more visual texture. 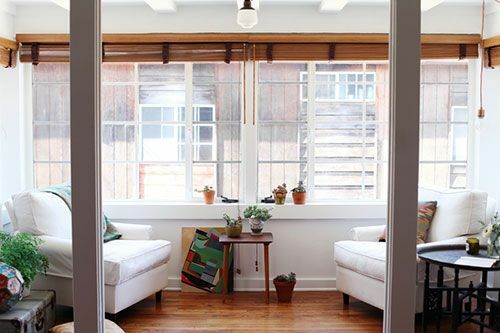 The Vintage Loft line has muted texture from the knots shrinking during the drying process and sporadic saw marks to add to the desired aesthetic of an old wood floor. We started our process by sawing these large logs into cants (think railroad tie size piece of lumber). Then we take the cants and saw them into green (not dry) veneer on a bandsaw. A lot of old floors we’ve looked at still has mill markings from saw blades. 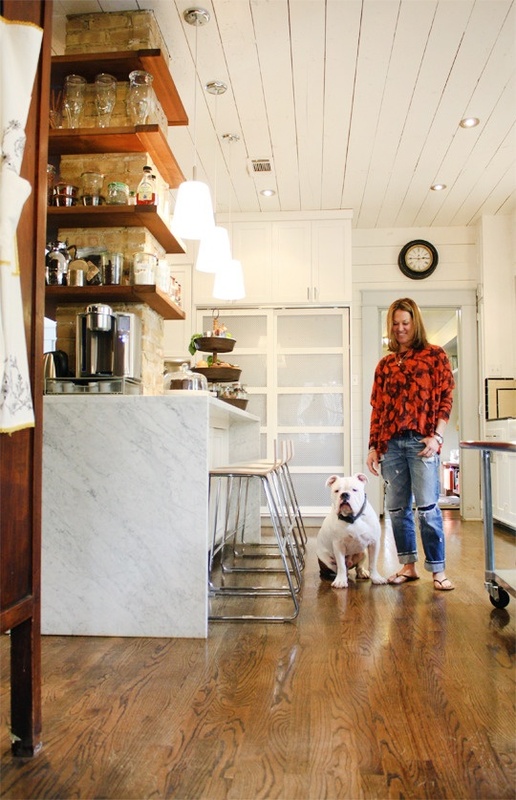 After all, a lot of these old wood floors didn’t need to be pretty, just durable. By sawing them green we can fine tune the amount of saw marks we leave in the final product. 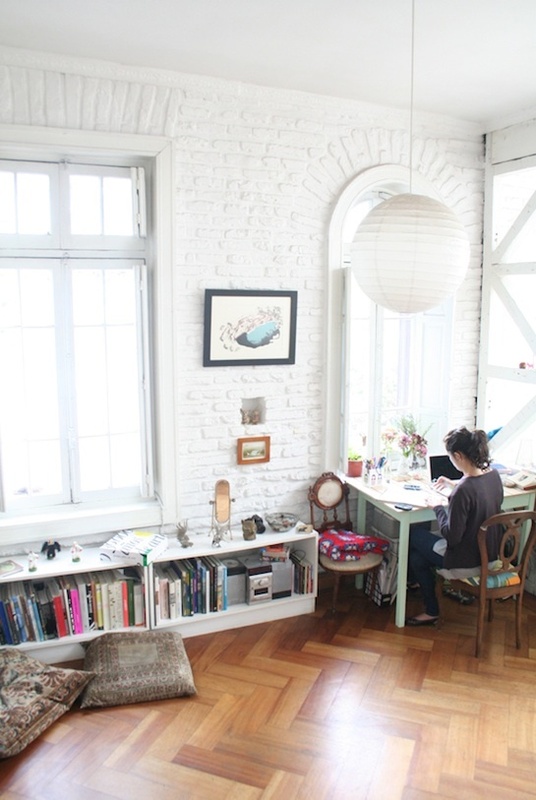 Please send me info on how I can become a Vintage Loft dealer. We dry the veneers down to an acceptable level and at the same time are able to reproduce the look of a very old wood floor. 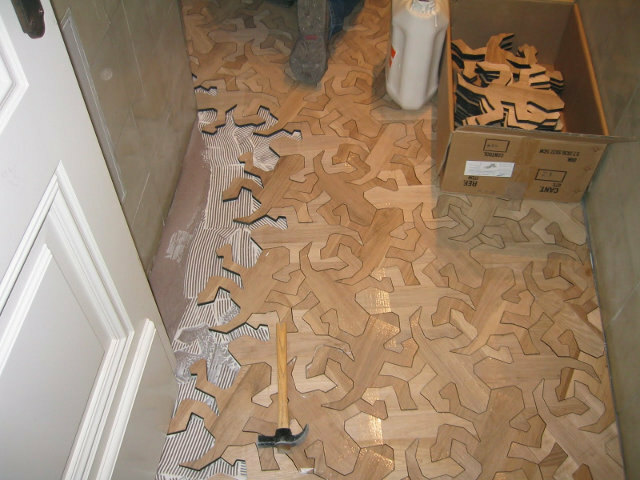 This mimics how the knots and character marks shrank in those old wood floors but at the same time offers properly dried wood so the product doesn’t shrink after installation. 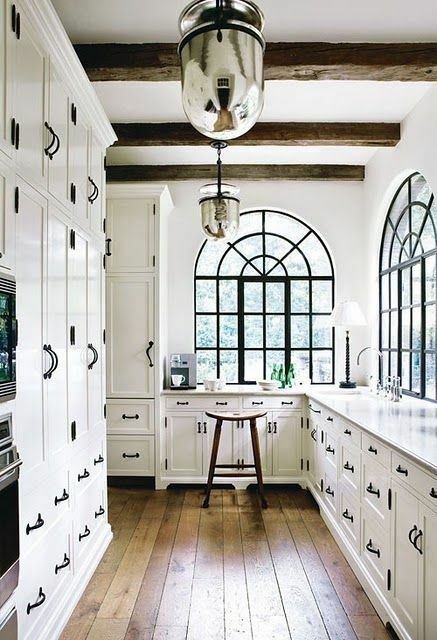 We really like how the floor ends up with natural texture without having to handscrape the face of the wood. 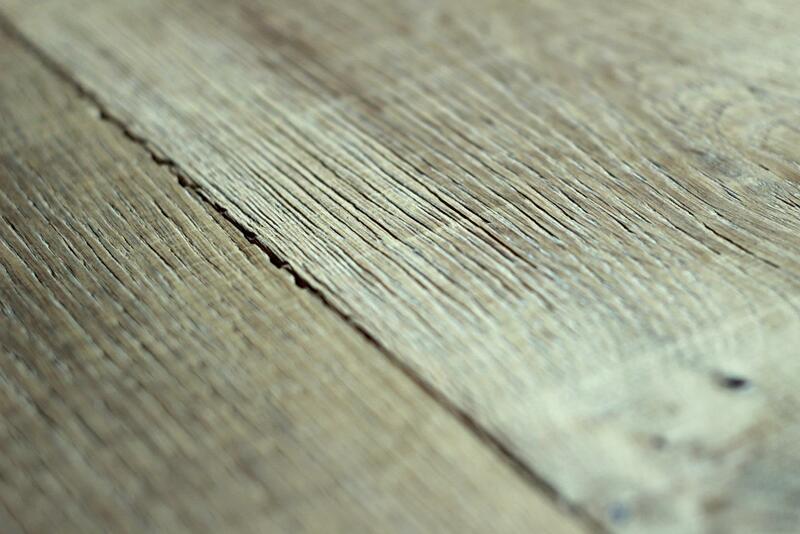 While handscraping a wood floor is thought to make it look old, all it actually does it give it more texture. In this process the texture is limited only to areas where there are natural defects which makes the texture just as sporadic as the character markings in the wood. The above cants are sawn into veneer then dried in the kiln. This helps to achieve the proper aesthetic appearance of an old floor. After drying the veneer, we press it onto birch plywood and then add the tongue and groove. Next we aggressively wire-brush it using both lateral and rotary brushing to pull out all the soft grain possible. This process truly adds years to the appearance, we couldn’t find an old wood floor that didn’t have this look. The Vintage Loft products were treated with a new edge detail technique that recreates the appearance of the joints in an old wood floor. In order to get the board edges or bevels just right we had to come up with a new technique. Old floors do not have a 45 degree bevel on them. What they do have is lots of chips and nicks taken out of them. Remember a lot of those floors were not completely dry when installed so as they shrank the joints would often move up and down causing one edge to stand proud. This would result in them being chipped or splintered as feet and materials were dragged across the floor over the years. As seen in the picture above we were able to closely mimic this look with a new hand beveling technique and at the same time were able to calibrate them so they are even and smooth. And finally we decided to finish this product with hardwax oil hybrid rather than urethane. First we coat the floor with two layers of UV cured oil. This base layer will keep the floor from staining. Then we lay a final coat of hardwax oil over the top. 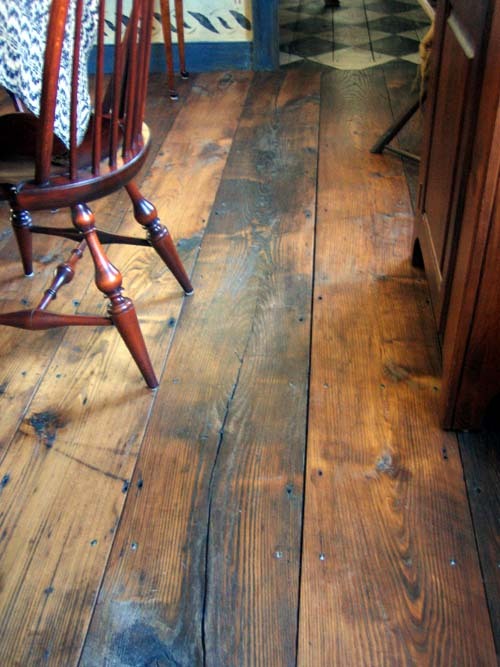 The oil gives and incredibly low sheen almost unfinished appearance which is exactly what an old floor looks like. 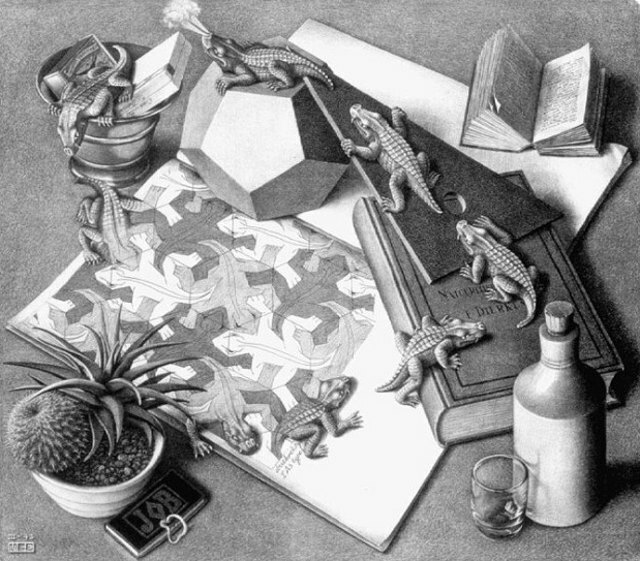 Interesting wood floor inspired apparently by MC Escher’s Reptiles lithograph. I spotted this on geekologie.com, and I really liked the writer’s humor. Check out his post here. A few months back I was in the middle of developing some new engineered wood flooring products that were made from new materials that were detailed in a way to mimic reclaimed wood floors. We had added circle sawn marks to some engineered hickory wood floors, dialed in the edge bevel detail to look like like the planks were old and then stained and finished it. We had made three different colors to preview. As we stood there taking in the aesthetic of each sample panel, one colleague noted, if we really want it to look reclaimed we need to mix all three colors in the same sample. We re-worked the panel to include a even mix of each stain color (light brown, dark brown and a reddish brown). Then we stood back and took it in. It was the right look. The product looked good as a single color but it looked fantastic mixed. I’m noticing more and more wood flooring producers coming up with products that show a wide range of color variation. And this is different than just the natural variation you find in lower grade walnut or hickory. This amount of variation is the result of actually purposefully staining woods such as hickory three separate colors and then mixing them. 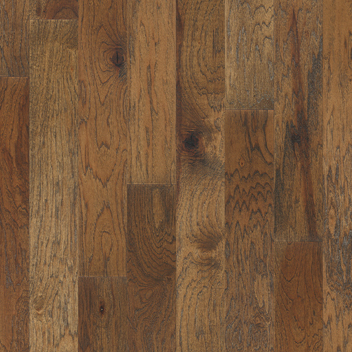 I noticed this week Mannington’s product Heirloom Hickory. It comes in two different color palates which each look to be a mix of 2-3 different colors. Heirloom Hickory Aged Bronze from Mannington is a varied color product with wide ranging tones that mimic a reclaimed wood floor. 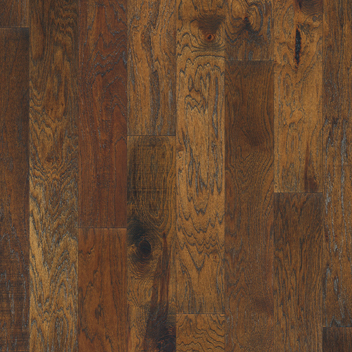 Mannington’s Heirloom Hickory in Antique Natural. 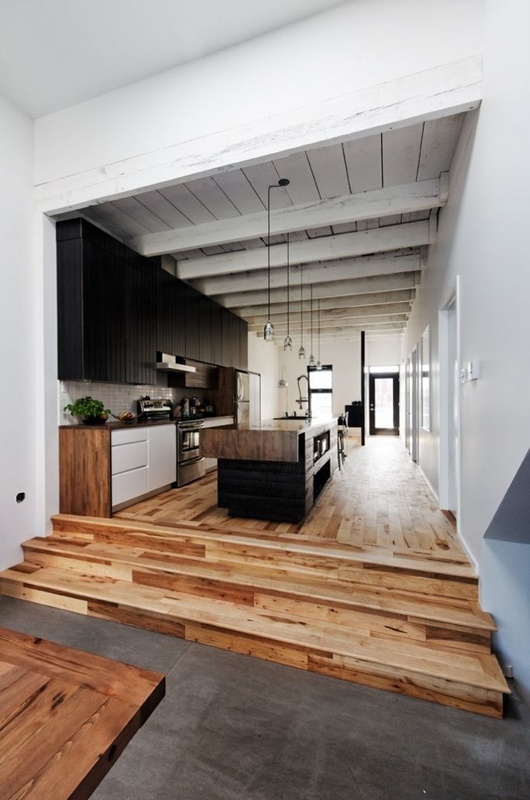 My guess is this trend is emerging as a result of the popularity of reclaimed wood floors which oftentimes show a very wide range of color. Although not everyone can afford a true reclaimed wood they are nevertheless enamored by the look of a multi colored wood floor. 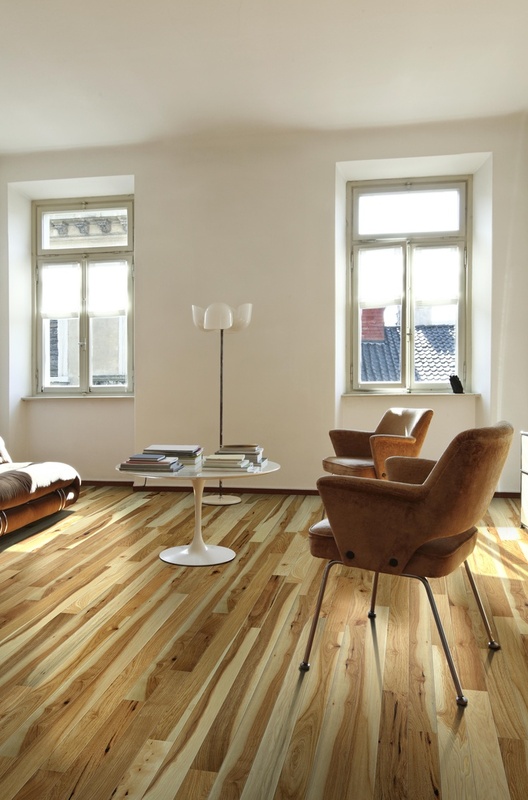 Above: The wide variation in color that results from producing wood flooring from aged woods. 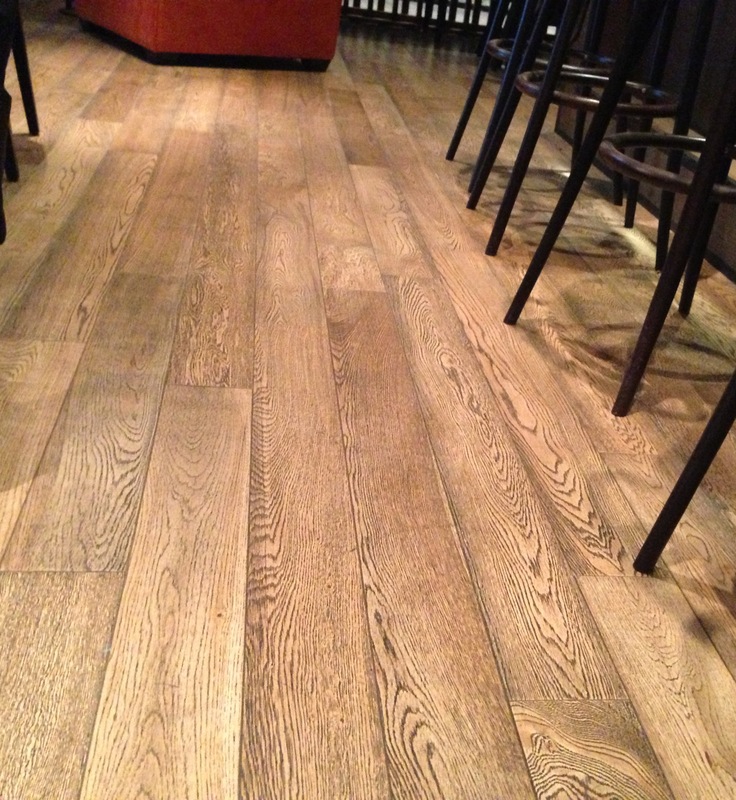 This true reclaimed oak floorfrom Aged Woods provides a great aesthetic for this interior. This amazing reclaimed Chestnut floor from Old Wood Workshop in Connecticut shows stark color variation. 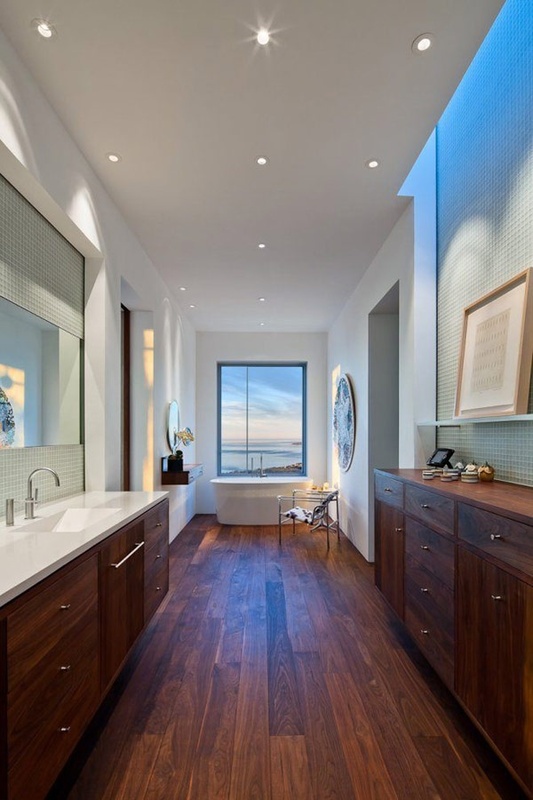 A trend that I continue to see burgeoning is wood flooring making its way onto walls. 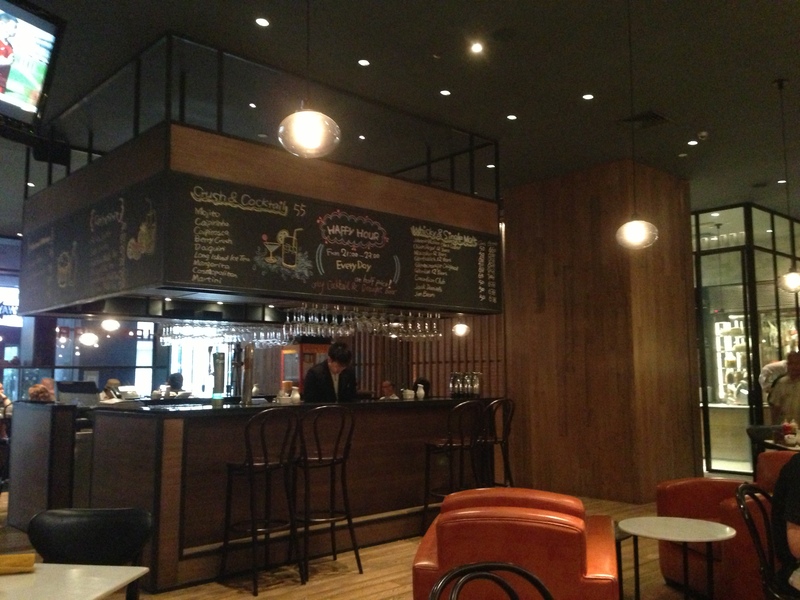 I was in Beijing last week at the Penta Hotel, a chain owned by SwissAir, Lufthansa and British Airways. The hotel had great looking 5″ white oak floors that were black-washed and wire-brushed. 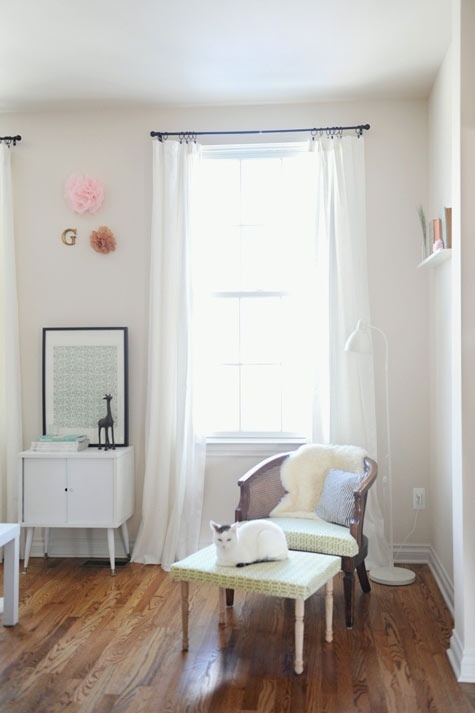 I would have thought having a similar texture on the walls might be a bit much but instead of a black-wash, for the walls they switched to a white-wash and wire-brushed 5″ white oak and it turned out great. 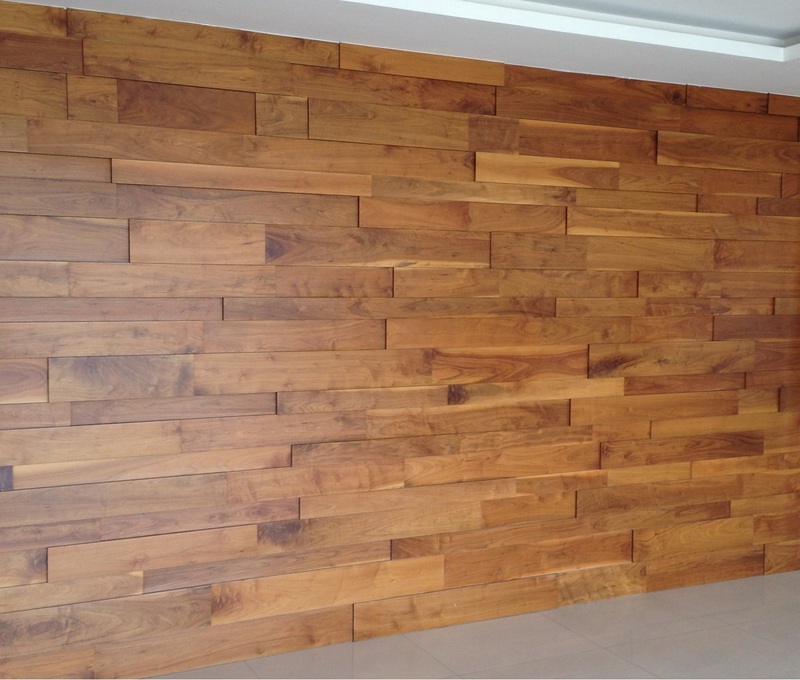 Wood floors on walls is a design element starting to pop up in a lot of commercial settings. 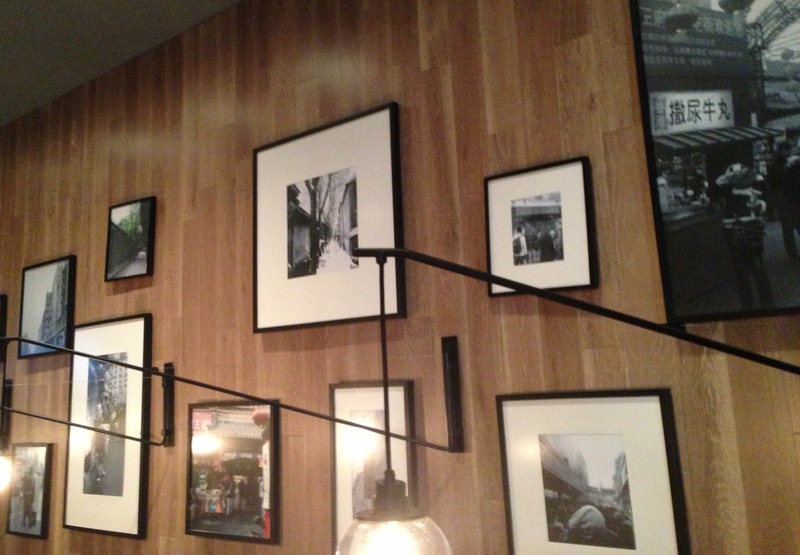 These walls were covering vertically oriented wood flooring planks. The effect was natural, clean and had the effect of making the ceilings feel taller. The Penta Hotel exudes a modern/contemporary setting but also had that natural feel that only wood can bring to a interior. For commercial settings that are concerned about the wear and tear that traffic can have on a wood floor, adding wood flooring to walls is a great way to have a natural visual element without the worry of wear and tear.